By Amy Grehan | April 23, 2013. Niall Breslin – better known as Bressie – is a busy man. His career to date comprises of playing for Westmeath GAA and Leinster rugby team; a commerce degree; two albums with former band The Blizzards; and a solo album, Colourblind Stereo, released in 2011. He’s also a popular judge on The Voice Of Ireland which attracts an audience of 708,000 every week. And now he’s gone and released his second album Rage & Romance. Produced by Eliot James (who has worked with Two Door Cinema and Bloc Party), and recorded in London’s Eastcote Studios, the album is mostly radio gold, featuring memorable melodies and catchy choruses that will leave you humming along. The album opens with title track ‘Rage and Romance’. It instantly gets the feet tapping and heads bobbing. It’s a cool alternative track without even trying to be. Despite the album title, there’s not too much rage on display. Serious issues like depression are covered on tracks like ‘Silence Is Your Saviour’ and the excellent ‘Two’s A Crowd’. ‘Fight To Midnight’, meanwhile, is incredibly catchy. The album closes softly and gloriously with ‘A Morning Without Words’ followed by the slow and mournful ballad ‘Dancing With The Dead’. Rage and Romance is full of top quality feel-good tracks. 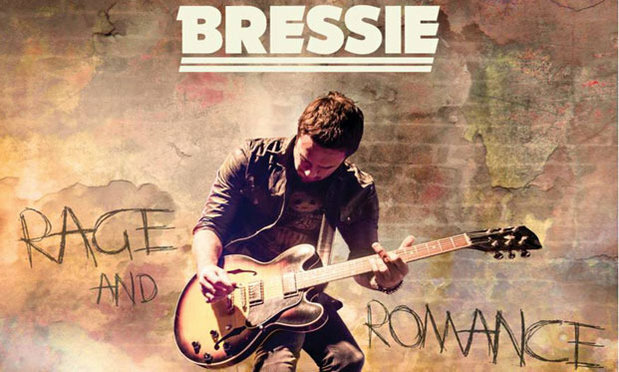 The overall sound is more mature, with a fresher, more alternative feel to it than Bressie’s previous releases. The album is all about what he always talks about on The Voice – real music.